Finding the right wall art for kids can be somewhat overwhelming – especially with the huge variety of wall decor on offer. Rather than running the risk of cluttering up walls by adding everything and anything that catches your eye, it can be useful to think about which wall decor items will be the most useful. 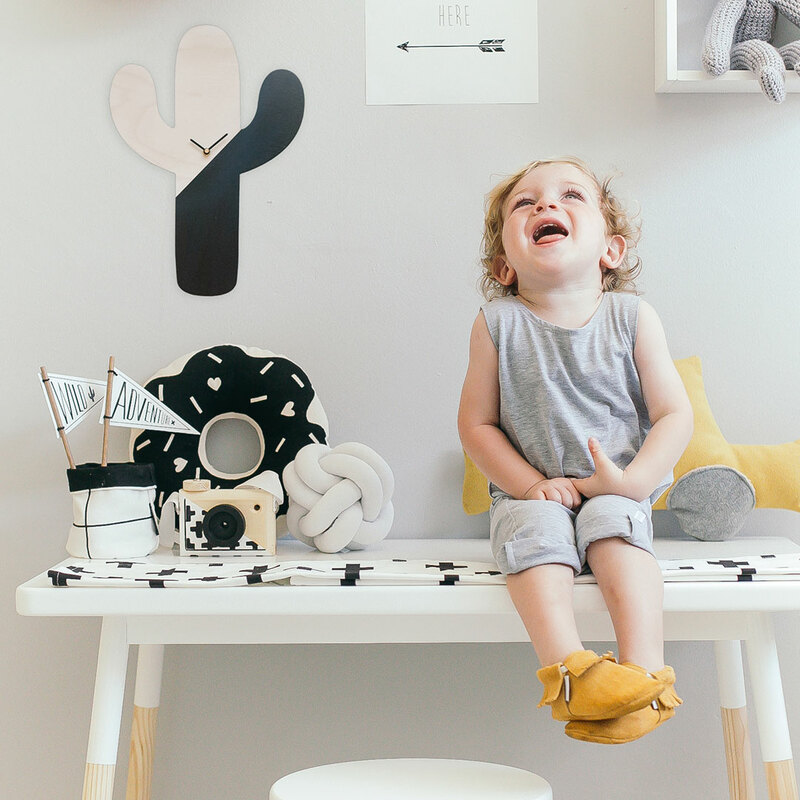 Believe it or not, wall decor offers a chance for kids to learn in a natural, low-pressure way. To help you plan a makeover for your child’s room, keep reading to get our expert tips on the best wall art for kids that will look good and provide a few other surprising benefits. As any parent knows, children are fascinated by mirrors. From a deco perspective, mirrors reflect light, adding impact to rooms of all sizes. Wall mirrors don’t only look good – they can also aid your little one’s development. From a very young age, children begin to develop an essential awareness of self that helps to establish confidence, spatial awareness, recognition, and even empathy. Mirrors can also help develop pre-reading skills, showing children where to find their heads, arms, legs, faces and other body parts. Look for fun mirrors in unique shapes, such as the adorable Moon Mirror by Bunni, which adds a touch of whimsical charm to your child’s bedroom. Another useful decor item that adds visual interest while helping your little one learn and grow, wall clocks are available in a range of fun shapes and colours. Teaching your child the concept of time, waiting, seconds, minutes, and hours will help them prepare for pre-school, armed with a better understanding of time. As an added bonus, clocks are also a simple way to add to a themed room, through quirky shapes that take centre stage on nursery and kid’s room walls. We adore the Scandi-style Cactus Clock by Simply Child, which is made of simple wood with a choice of black, white or mint contrast. Who says you have to stick to plain walls? 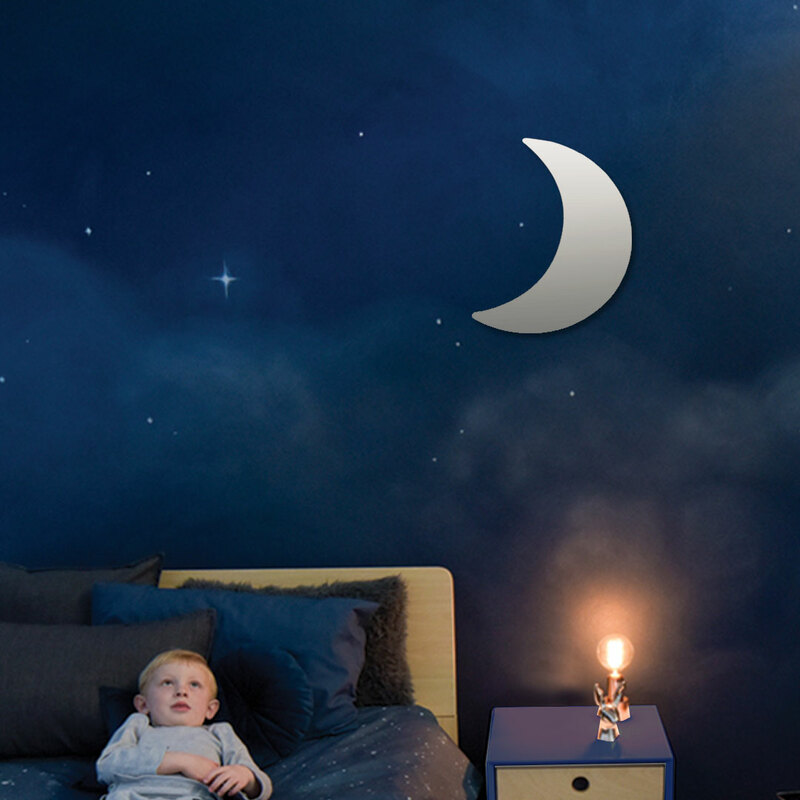 Wall decals are one of the easiest ways to spruce up boring walls without the need for glue, wallpaper paste or effort. Simply stick on and peel off to change the look of your little one’s room in no time at all. Kids can also get involved in placing the decals themselves with just a bit of help from mom and dad. The Bunni range of decal stickers comes on backing paper. Cut into smaller pieces, and then apply individually, or place the entire sheet onto walls by removing the backing and sticking to your chosen spot on the wall. You can easily reposition the decals, which last longer, stick easily, and no not leave any sticky residue on the wall once they are removed. 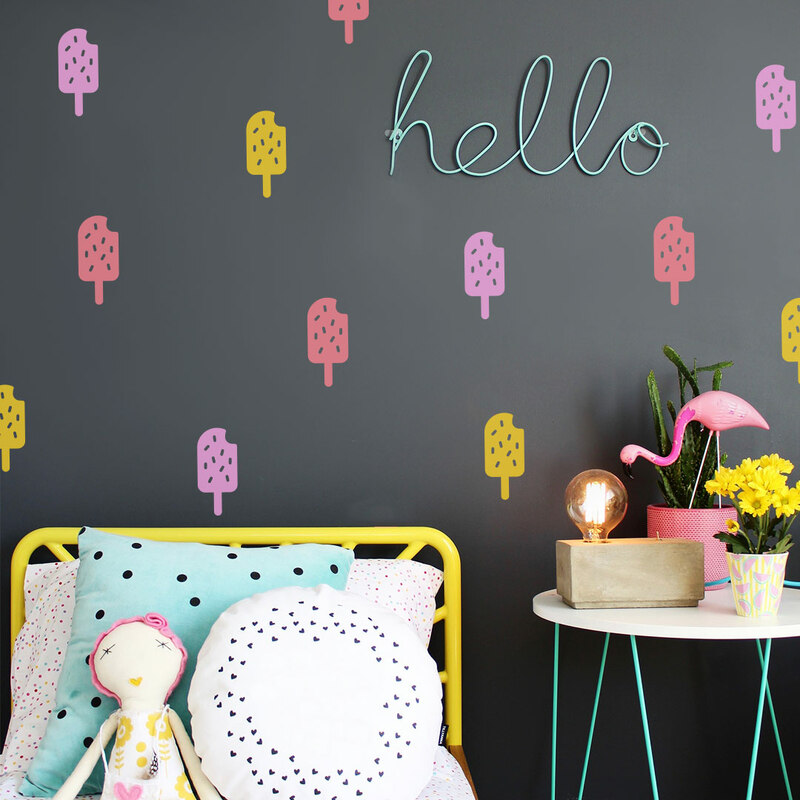 Look out for the Ice Cream Wall Decals and various other adorable designs in this range. For best results, we suggest asking your little one for their input as well. Together, you can choose the very best wall art for kids that will add value to any room.